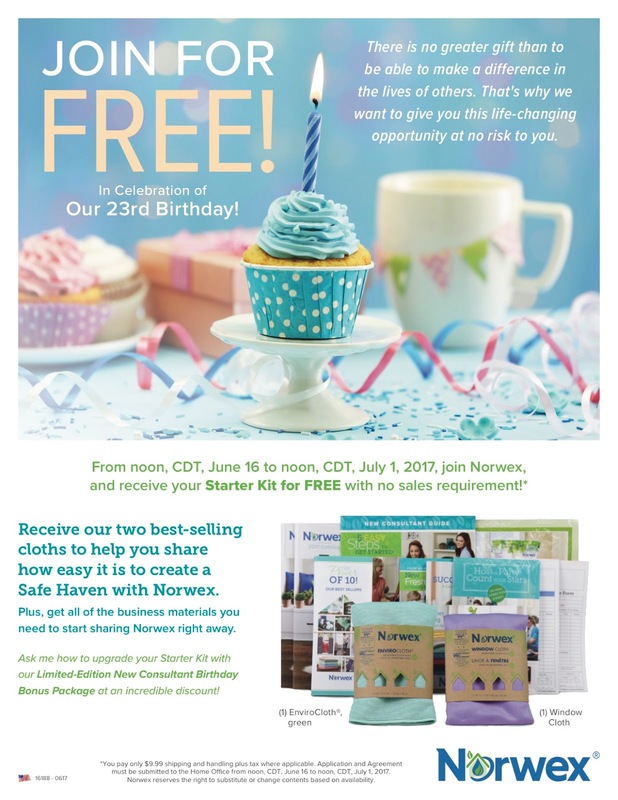 Join Norwex for FREE in Celebration of Our 23rd Birthday! Join for FREE in Celebration of Our 23rd Birthday! There is no greater gift than to be able to make a difference in the lives of others. That's why we want to give you this life-changing opportunity at no risk to you. 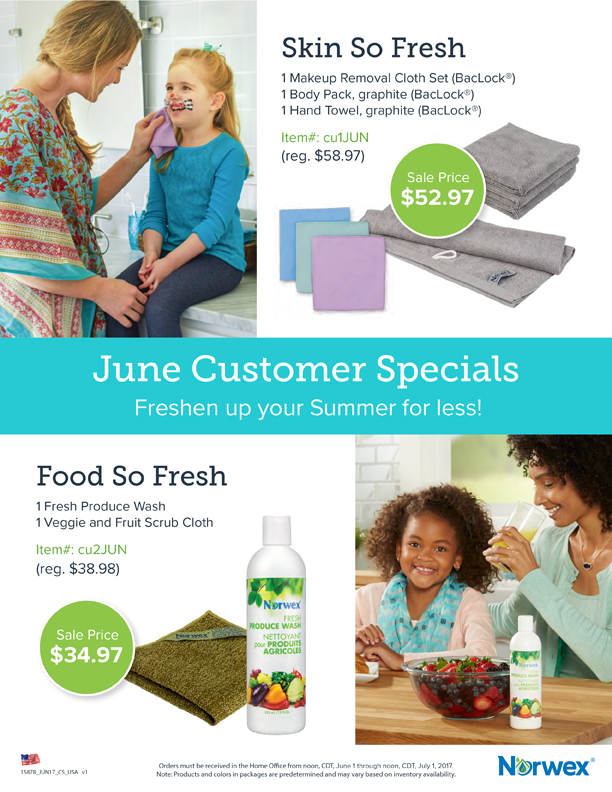 Join Norwex for FREE during June! 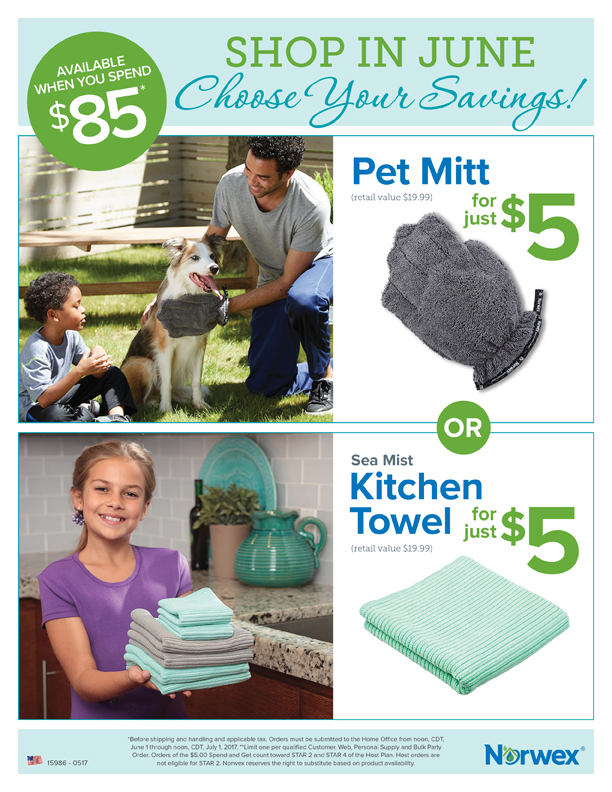 Receive our two best-selling cloths - 1 green EnviroCloth and 1 Window Cloth - to help you share how easy it is to create a Safe Haven with Norwex. 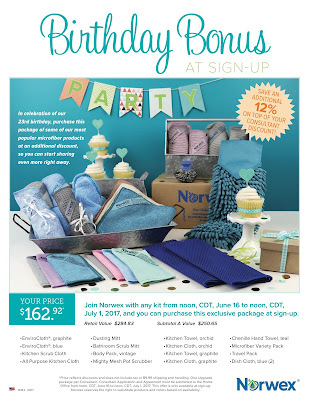 Plus, get all of the business materials you need to start sharing Norwex right away. 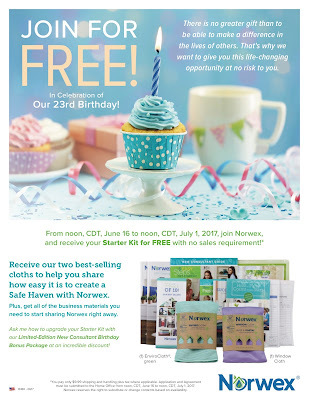 Upgrade your Starter Kit with our Limited-Edition New Consultant Birthday Bonus Package at an incredible discount! Birthday Bonus At Sign Up! 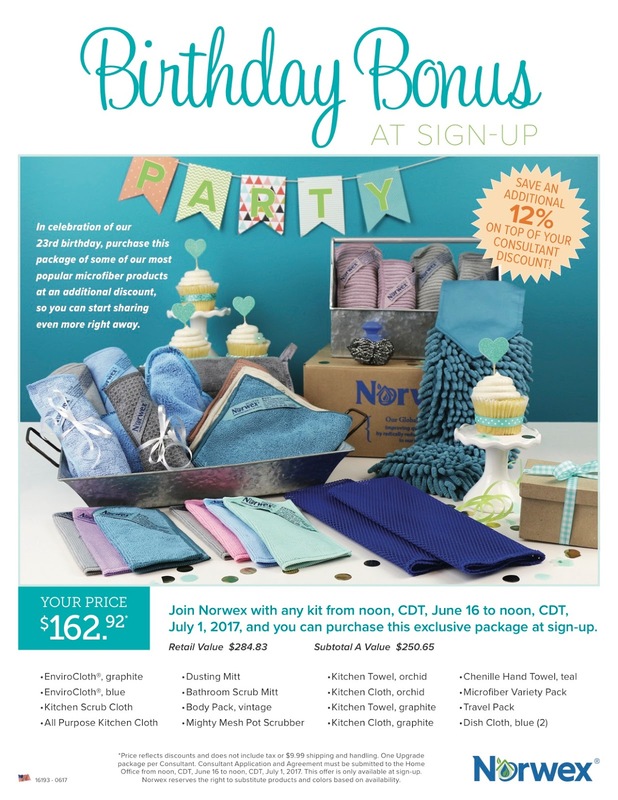 Join Norwex with any kit from noon, CDT, June 16 to noon, CDT, July 1, 2017, and you can purchase this exclusive package at sign-up. Save an additional 12% in addition to your Consultant Discount! 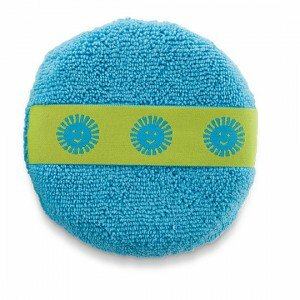 In celebration of our 23rd birthday, purchase this package of some of our most popular microfiber products at an additional discount, so you can start sharing even more right away. 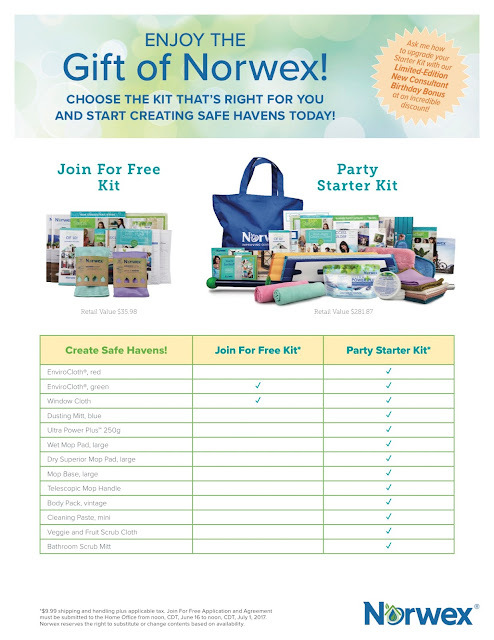 CHOOSE THE KIT THAT’S RIGHT FOR YOU AND START CREATING SAFE HAVENS TODAY! *You pay only $9.99 shipping and handling plus tax where applicable. Application and Agreement must be submitted to the Home Office from noon, CDT, June 16 to noon, CDT, July 1, 2017. 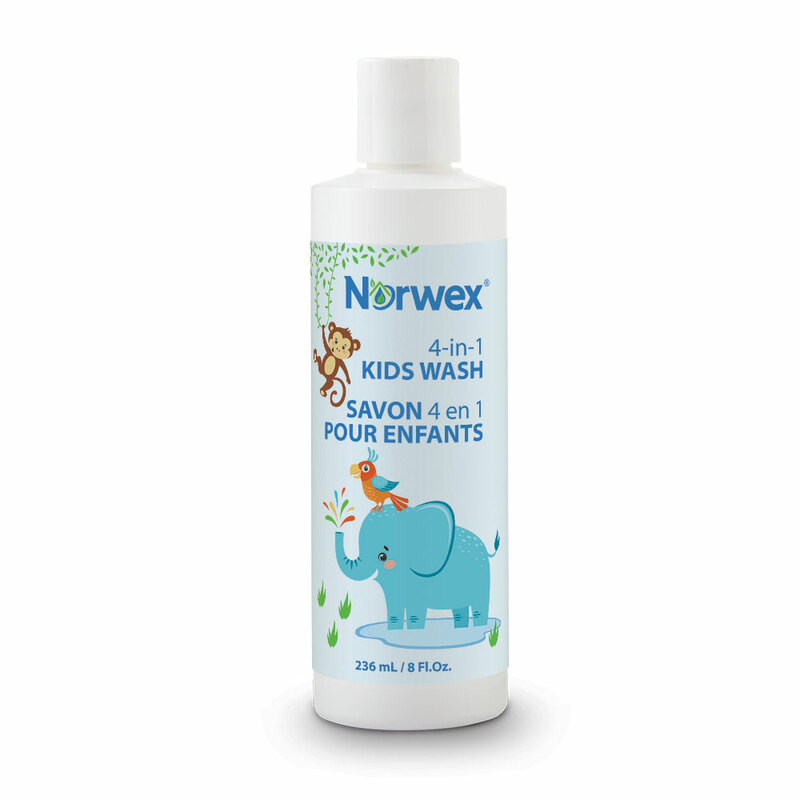 Norwex reserves the right to substitute or change contents based on availability. **Price reflects discounts and does not include tax or $9.99 shipping and handling. One Upgrade package per Consultant. Consultant Application and Agreement must be submitted to the Home Office from noon, CDT, June 16 to noon, CDT, July 1, 2017. This offer is only available at sign-up. 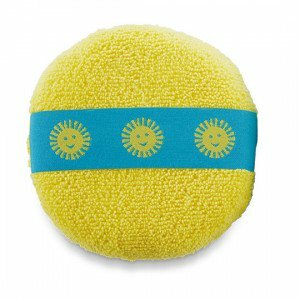 Norwex reserves the right to substitute products and colors based on availability. 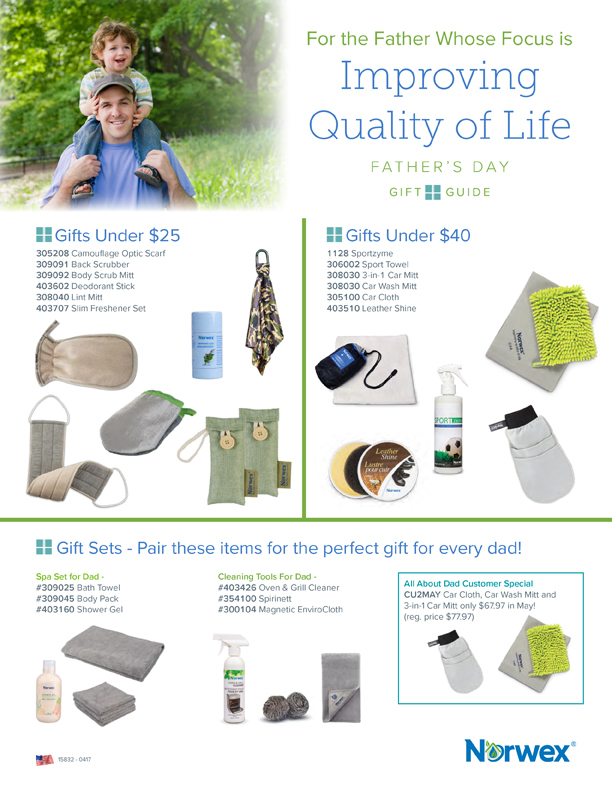 Gift Sets - Pair these items for the perfect gift for every dad! Orders must be received in the Home Office from noon, CDT, June 1 through noon, CDT, July 1, 2017. 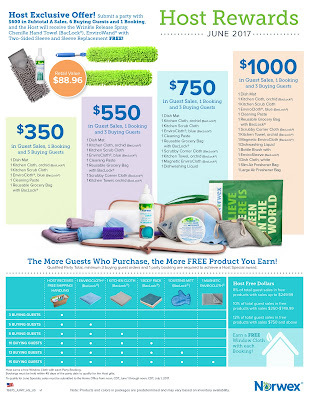 Note: Products and colors in packages are predetermined and may vary based on inventory availability. 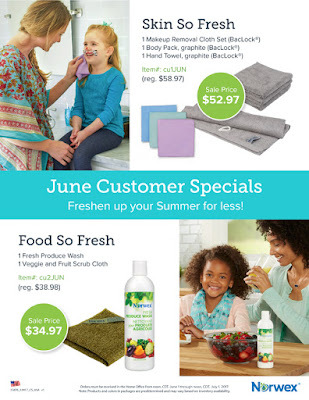 SHOP IN JUNE and Choose Your Savings! *Before shipping and handling and applicable tax. Orders must be submitted to the Home Office from noon, CDT, June 1 through noon, CDT, July 1, 2017. 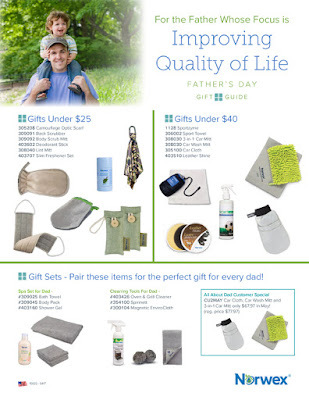 **Limit one per qualified Customer, Web, Personal Supply and Bulk Party Order. 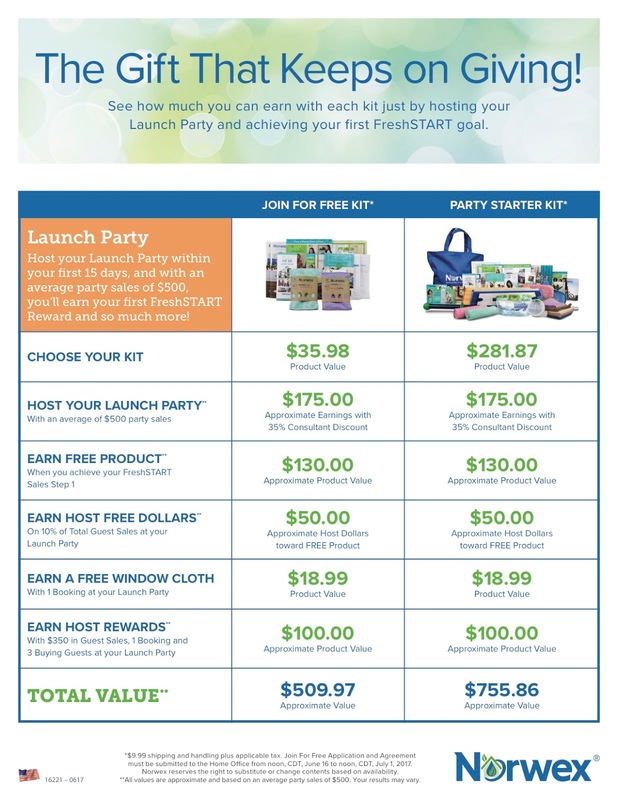 Orders of the $5.00 Spend and Get count toward STAR 2 and STAR 4 of the Host Plan. Host orders are not eligible for STAR 2. Norwex reserves the right to substitute based on product availability. Host Exclusive Offer! 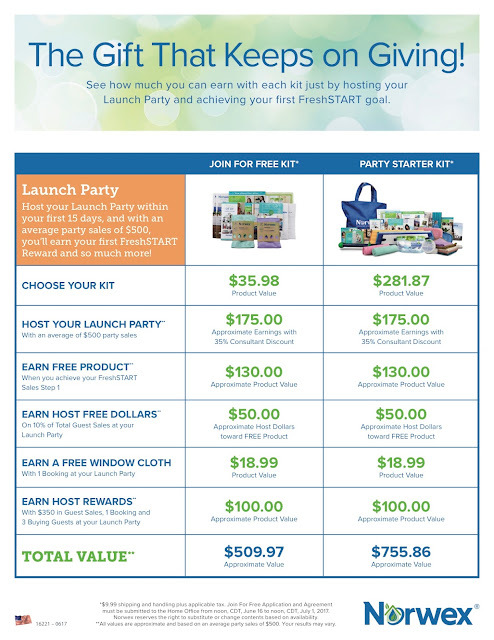 Submit a party with $600 in Subtotal A Sales, 6 Buying Guests and 1 Booking, and the Host will receive the Wrinkle Release Spray, Chenille Hand Towel (BacLock®), EnviroWand® with Two-Sided Sleeve and Sleeve Replacement FREE! All parties must be submitted to the Home Office from noon, CST, June 1 through noon, CST, July 1, 2017.